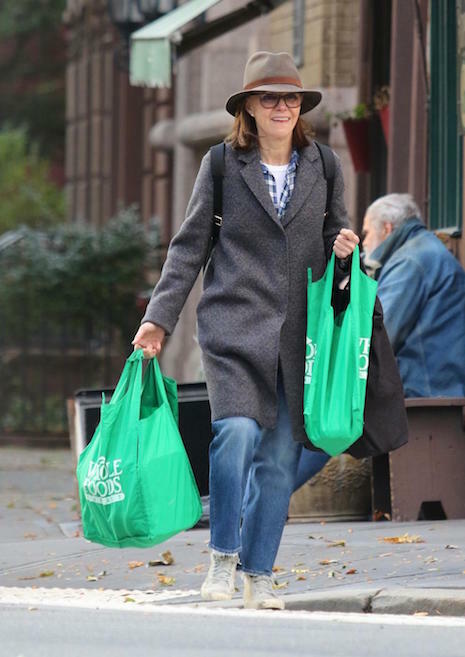 When Sally Field, 71, is in New York she doesn’t really expect any paparazzi to spot her shopping at Whole Foods so she doesn’t think much about dressing up. One eagle-eyed photographer snapped her returning from the supermarket, but she seemed oblivious. Sally always seems to be working- she’s currently appearing on the Netflix dark comedy series, Maniac, with Jonah Hill and Emma Stone. Is Tori Spelling’s “Mental Breakdown” A Publicity Stunt?